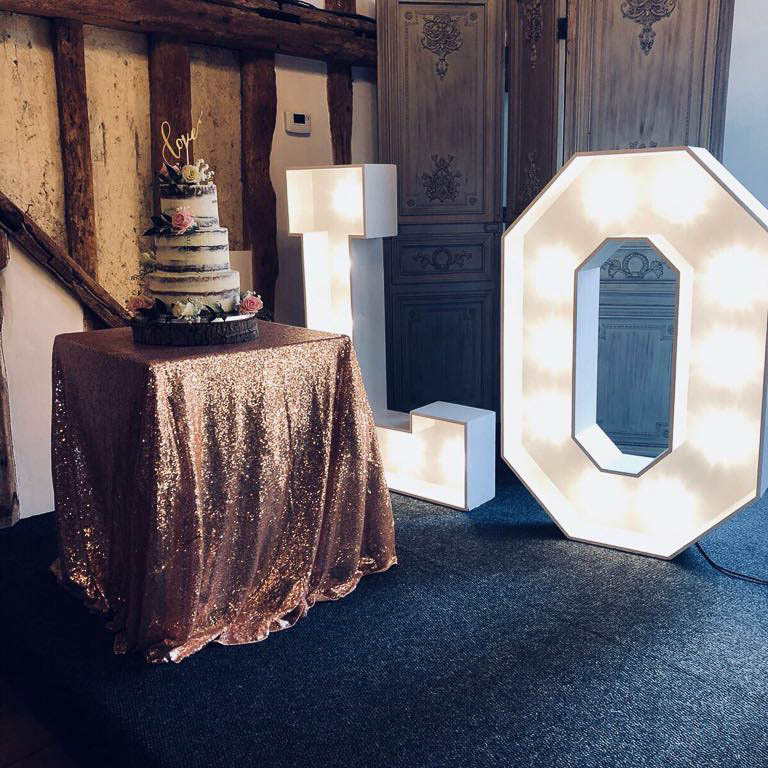 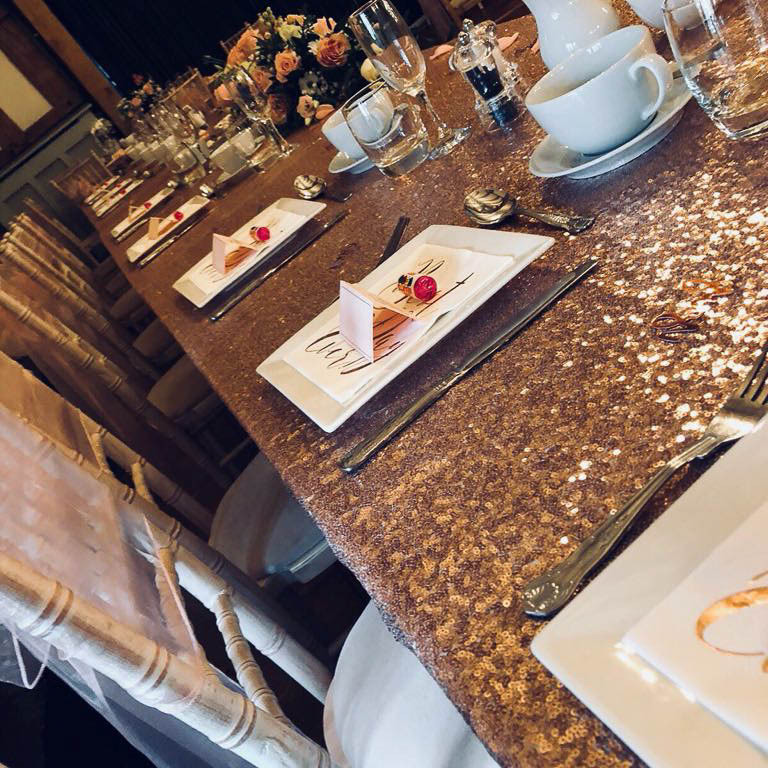 Make your event sparkle with our collection of sequin tablecloths available to hire in Essex and closely surrounding areas. 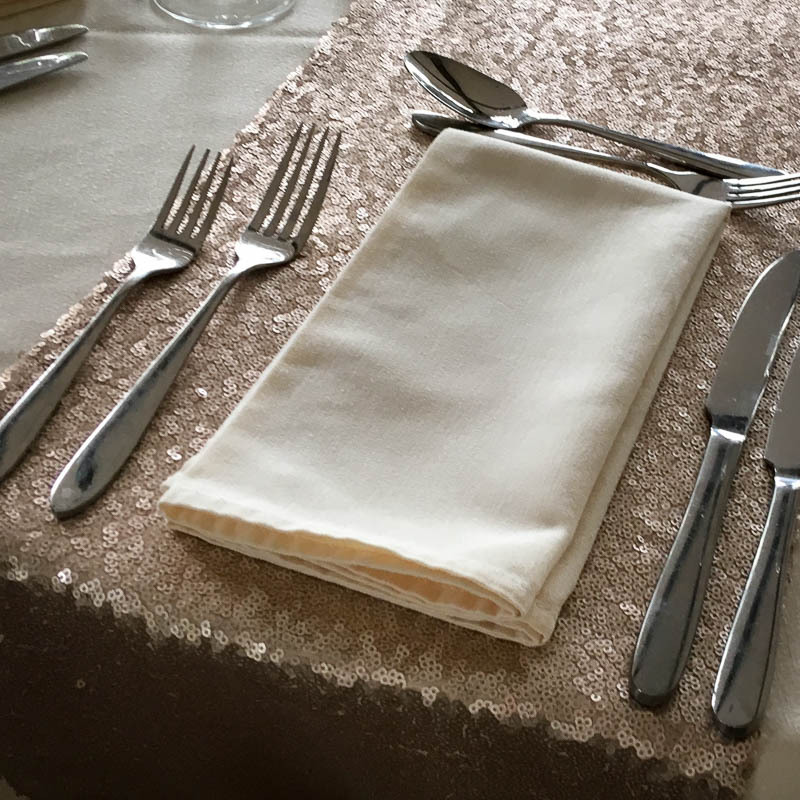 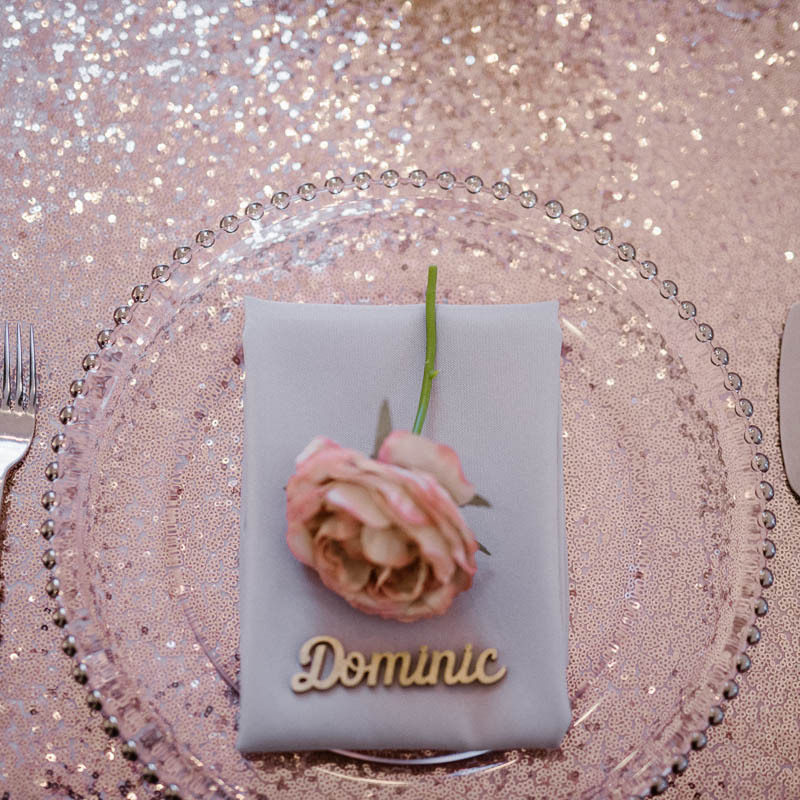 We have a gorgeous selection of sequin table linen to make your table setting extra special. 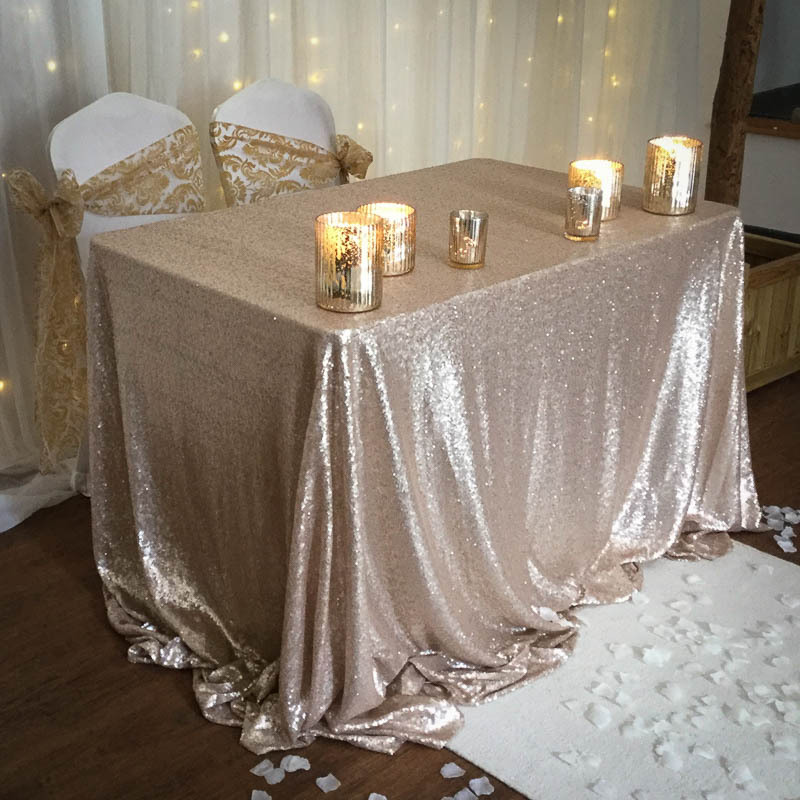 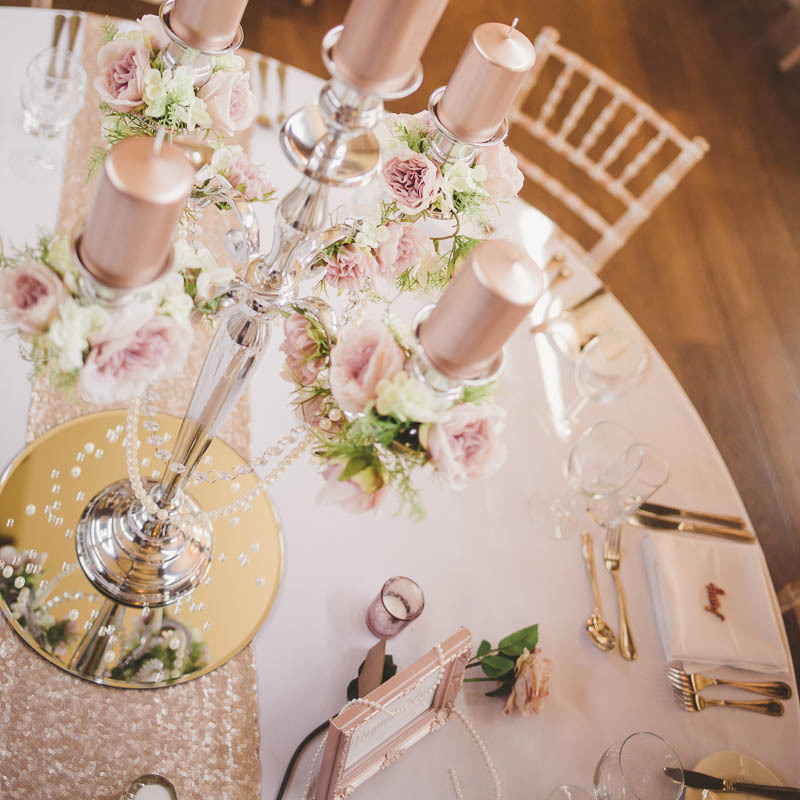 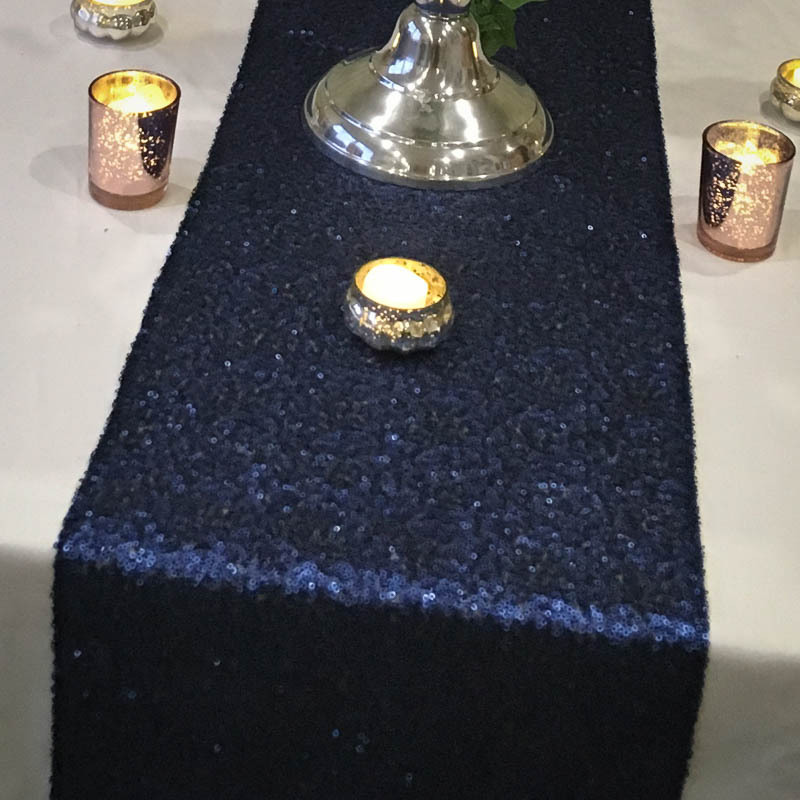 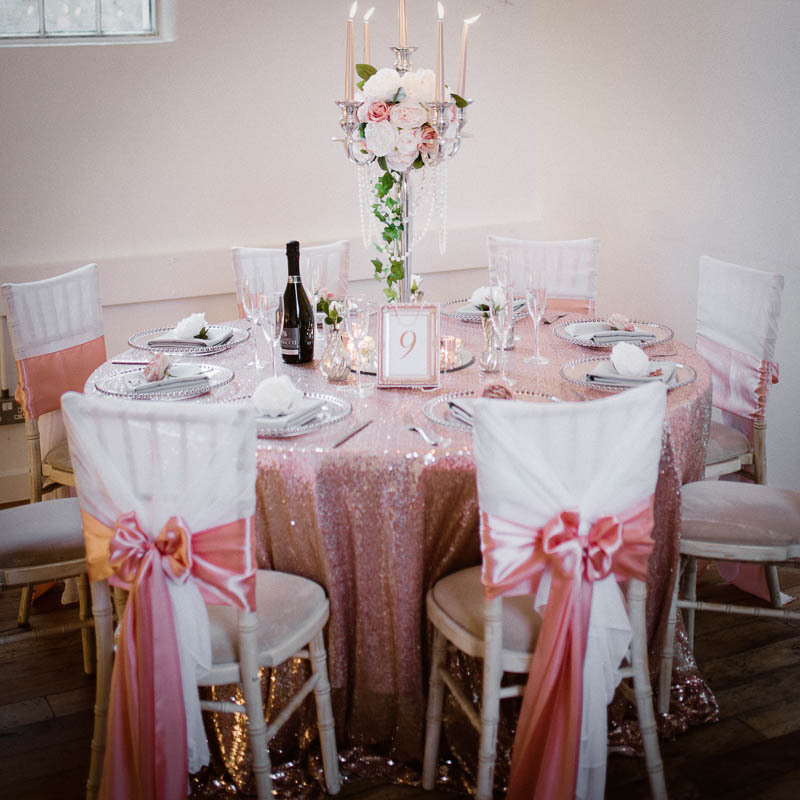 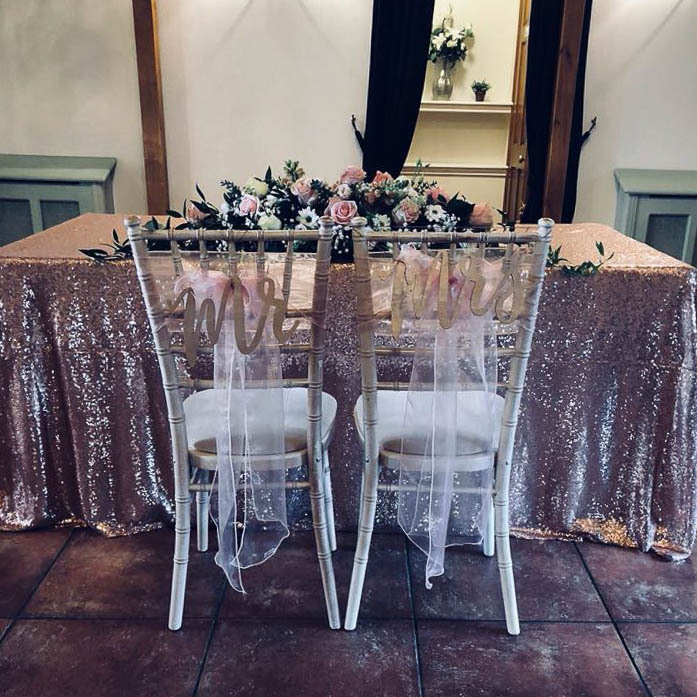 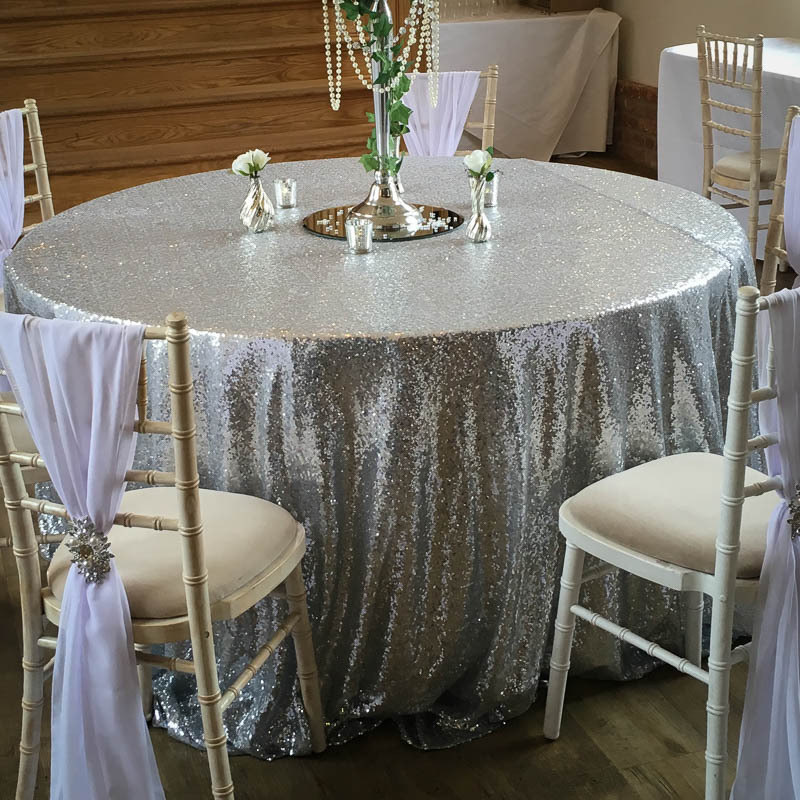 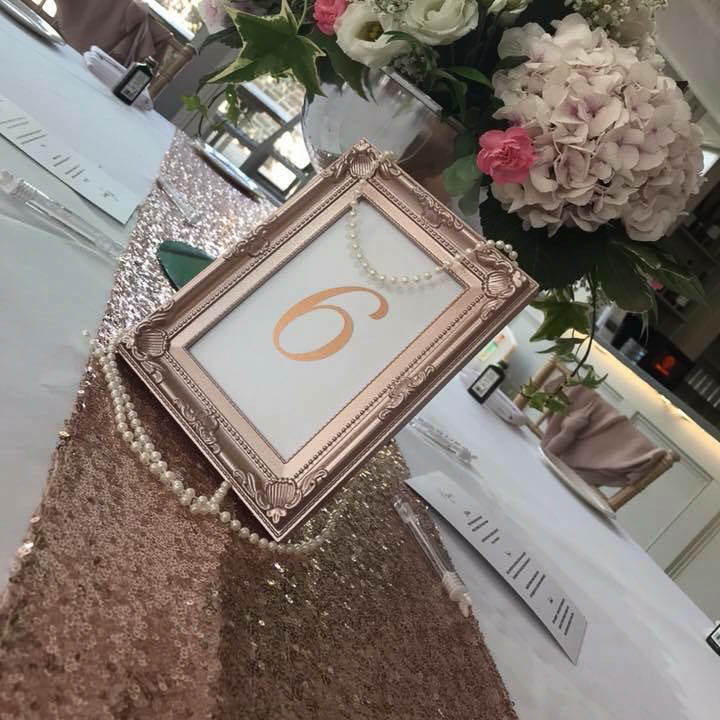 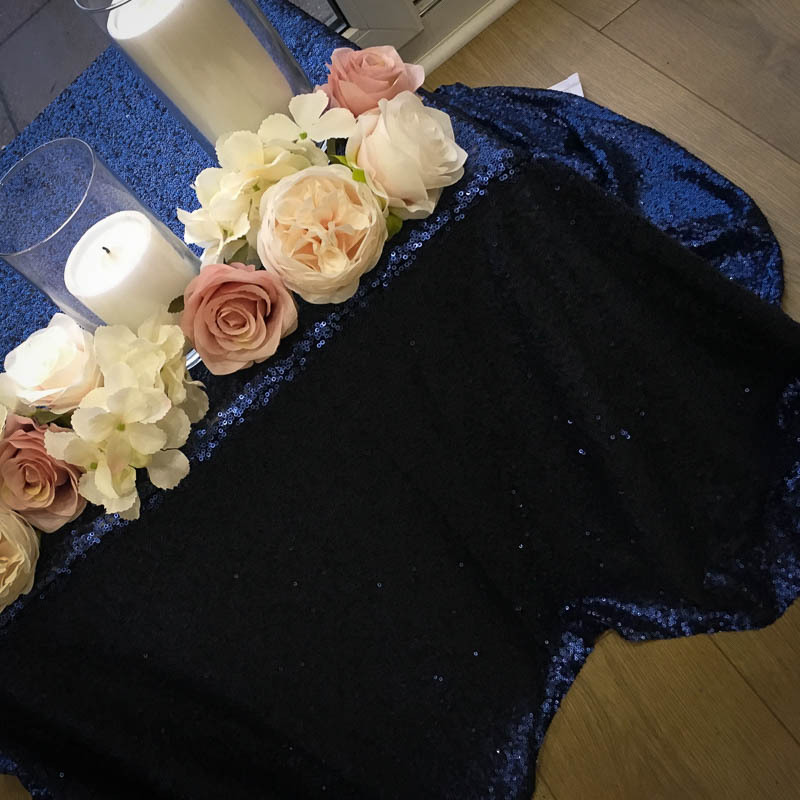 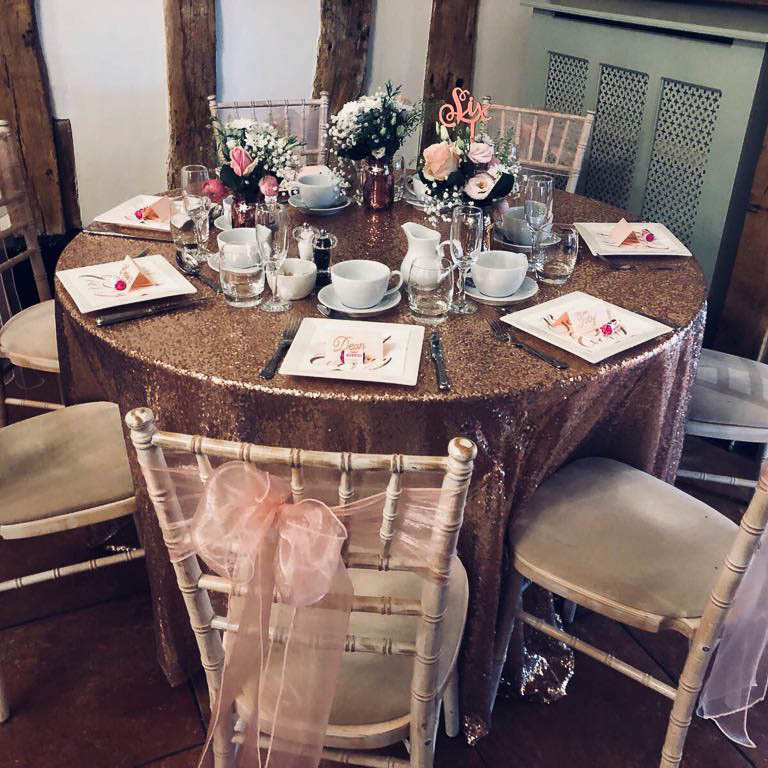 Our sequin tablecloths are high quality, with a beautiful sheen and are available in champagne, rose gold, navy and silver. 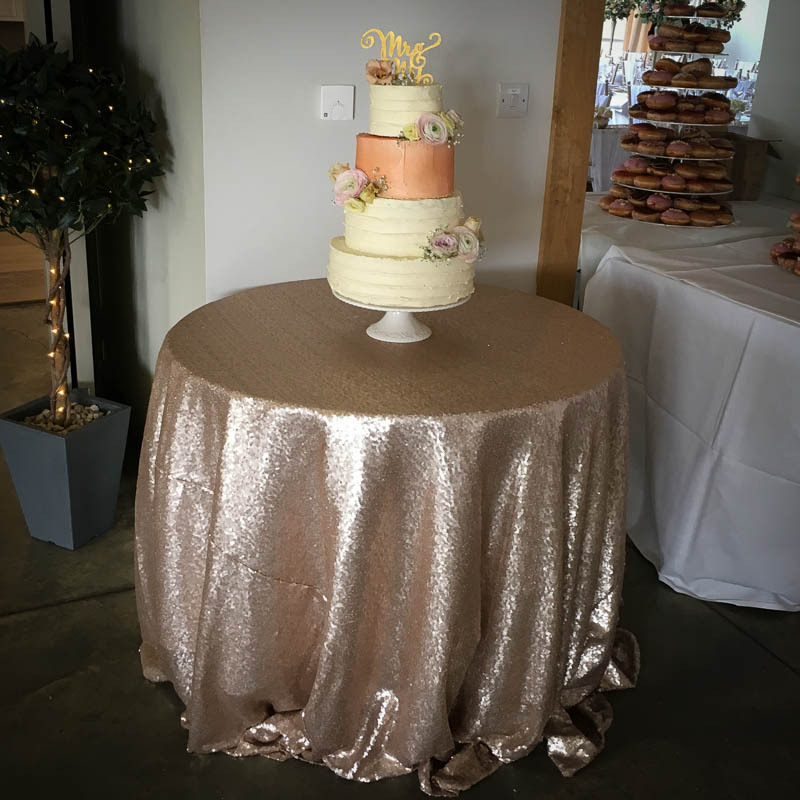 We have a range of different sized sequin tablecloths available to fit large round tables, top table and cake tables. 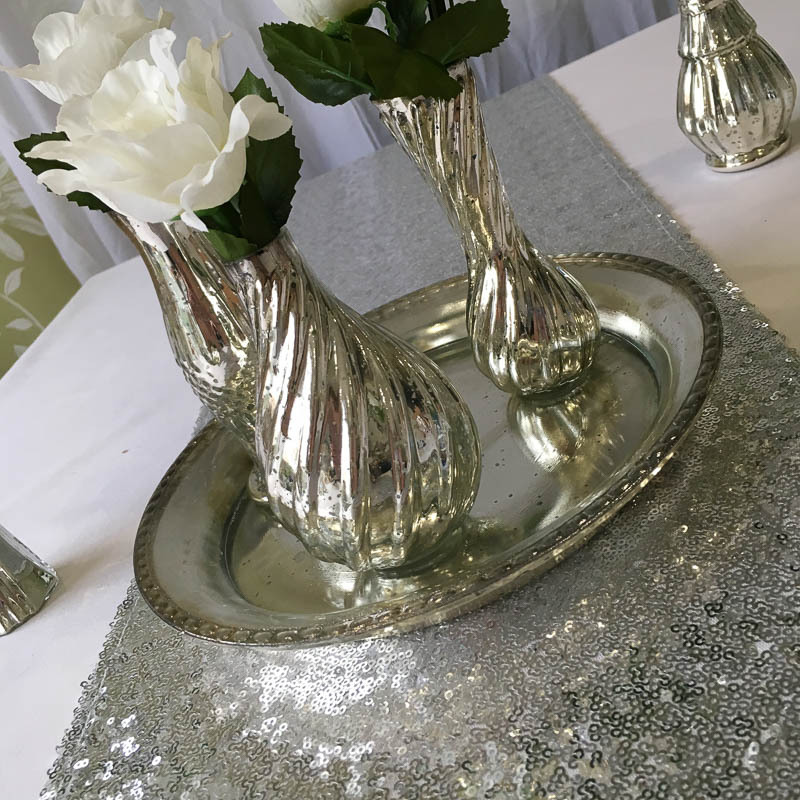 Mix and match with sequin table runners and complete the look with our matching sequin napkin rings. 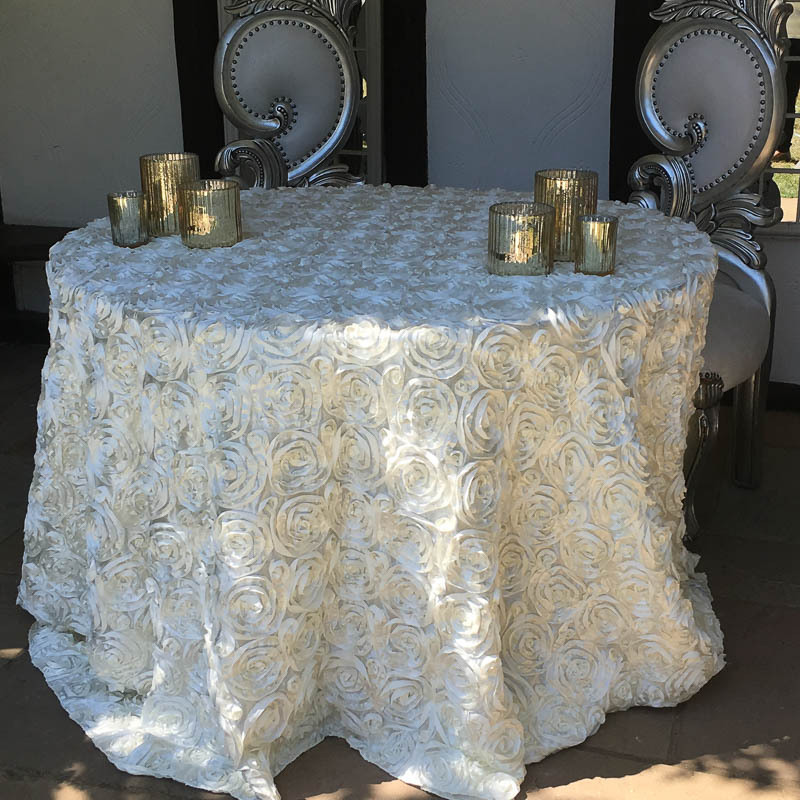 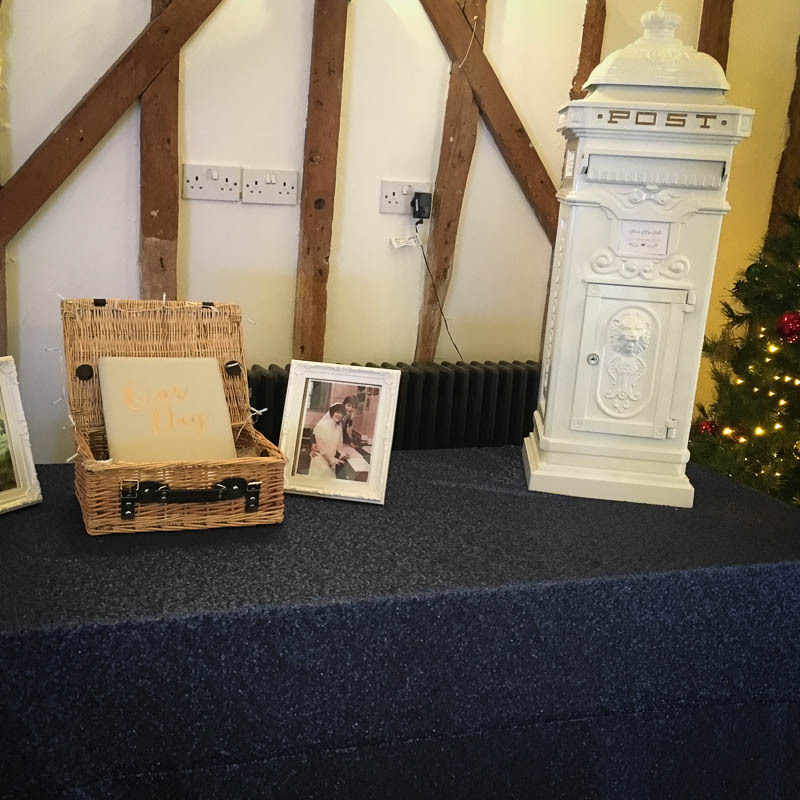 We also offer elegant white and cream 3d rosette tablecloths and table runners for a unique style. 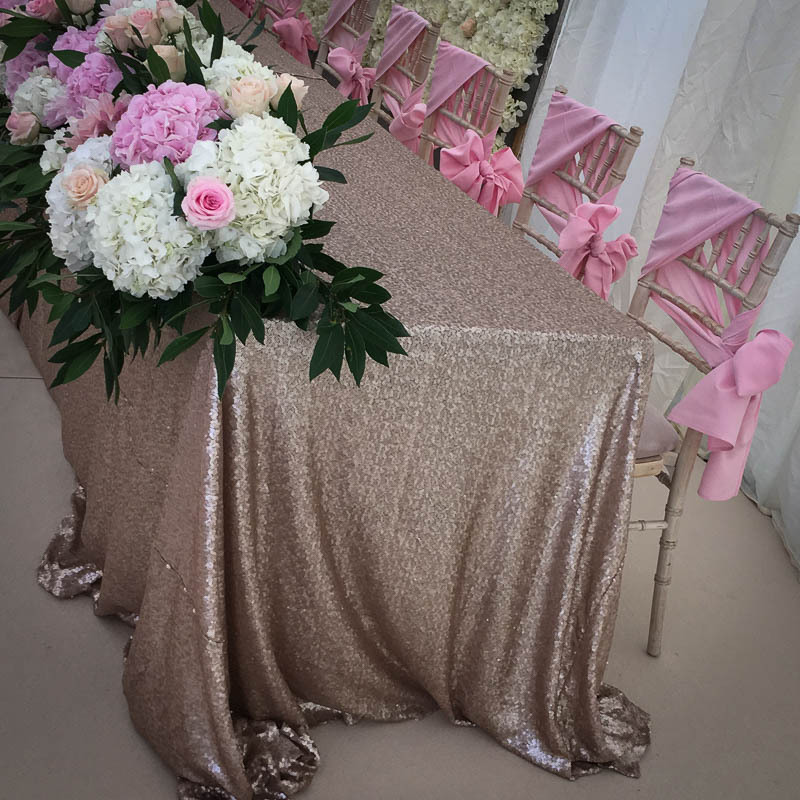 If you would like to hire any of our sequin tablecloths in Essex or closely surrounding locations please contact us.